The following is a transcript of our interview with Obsidian CEO, Feargus Urquhart. You can listen to the interview in our weekly podcast available here. Paul: We might as well start from the beginning, what do you say, James? James: It’s a good a place to start as any. Paul: So, with Kickstarter, how much did the Kickstarter exceed early expectations of what you thought you’d get? Obviously you thought you’d get a pretty good response with your guys prestige. Feargus: It’s interesting, a lot of people are like “Oh, you should have known you’d get like 4 million dollars.”, and that’s where I think game developers are maybe a little bit different than the rock stars that sometimes people think we are. Our egos are pretty much kept in check – there’s of course a few of us that they’re not. When we looked at it, we were of course hoping for a good amount to be able to make a really awesome game, but it was really surprising, and we had to scramble a little bit. We had no idea we were going to hit our goal in… I think it was 27 hours. Feargus: And things like that? I know that, I think, over the long term we’re the third highest funded Kickstarter of all time, I think – and then we’re the second highest game, because the Ouya was considered a game, and it was higher than us. As for hitting it, I think we were the third fastest fasted to a million – I think that’s kind of what it was – if I remember right, I think that’s what it was. We were the third fastest to a million. Paul: It’s a very exciting title to have – third fastest to a million. Feargus: We printed up t-shirts and everything! Feargus: Yeah, we used PayPal – I think it’s ended up right now. So we have the just under 4 million from Kickstarter, and then we have $250,000 in our PayPal account. So in the end we ended up with right about $4.25 million. James: Did you have to deal with much pledge trolling? There was some talk about that a little while ago. Was that much of an issue? Feargus: What do you mean by pledge trolling? James: Ah sorry – pledge trollers are people pledging a lot of money, and then just not coming good with it. Feargus: Oh no, because between Kickstarter and Amazon, they process through all the pledges, and I don’t have a percent, but if I had to guess it’s like a tenth of a percent of pledges didn’t come through, or something like that. It’s maybe even smaller than that. It was a very very small amount that didn’t actually come through. We found that there were, sort of the day after – maybe a couple of days after – I’m not even sure how you do this, some people were cancelling their pledges. But we’re only talking like 10, 15, 20, 30 of the 70-plus thousand people who were cancelling their pledges after the campaign. So it was really good, we ended up with a very very high percentage of what everybody pledged. James: Yep. You definitely got a lot of people very excited. I was very quick to throw my money at you guys. Paul: He read the words “Planescape Torment”, and then just gave money. 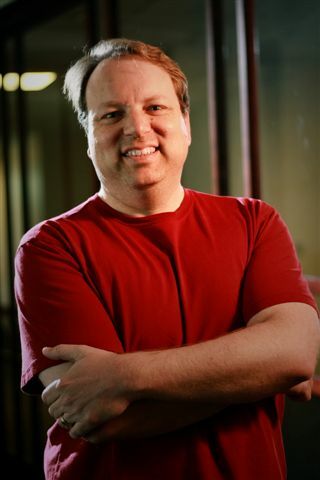 Feargus: It’s funny when you work on games like that, because my part in Planescape Torment was early on working with Chris on what the box of the game was going to be – so in essence it was “So let’s use the Baldur’s Gate engine, and of course Planes, as in Planescape, and so we should go to planes, it should still be focused on Sigil – we need to make it more of a game that’s focused on the core story of a central figure. Then Chris pretty much just ran with it, and while he was doing that I was working on Fallout 1 and Fallout 2, and then obviously on some of the Bioware stuff – Baldur’s Game 1, and then some Icewind Dale as well thrown in there. So I came in for the last few months, like three or four months, and I just played the game a tonne, and I did a lot of experience point balancing. The game was never really focused that much on combat, so my goal in the end was to get the combat to a point where it was fun, it wasn’t going to be the best combat that there ever was in a RPG, but definitely get it to a point where it was rewarding, and people enjoyed it. James: Ok. Just vaguely on combat, are you planning on going for something similar to the D&D ruleset for how this stuff works? Feargus: It’s a hard question to answer because it can mean so many different things is to what is D&D to combat. The best way to look at it is we’re a class based system, so there will be the fighters, mages, thieves – not that those are exactly our class titles, but you have that sense of a party going into combat and you’re using abilities that are kind of focused on that class type, and that is very much a D&D thing, which different player characters have specific roles in combat. So it will feel like D&D in that. Also, we’re not looking at doing things that are more MMO like where you have 17 different things all on cool down at once. So it’s not that, characters definitely have an action that they take, and then they take another action – and another action – and so that will make it feel a little more like D&D. Whether it’s D20 die, and a round is about 6 seconds, that’s not the kind of stuff we’re following, but in general surrounds of it are definitely going to feel like D&D. Paul: Kind of on that issue – a lot of people got excited about these nostalgic games that you’ve worked on – that are all brilliant games, that as we say, we’re very excited by. They get this idea that they want to play this game again, but people have changed what they expect of a game, and view a lot of that with rose tinted glasses, so how do you manage tapping into that nostalgia without just recreating Baldur’s Gate 2? Feargus: Absolutely – it’s something we’ve talked about a lot. Luckily, because we are using 2D graphics, actually the stuff we’ve been doing internally since the Kickstarter ended – well even while the Kickstarter was going on – with 2D graphics we’re doing some really cool stuff that really enhances how the backgrounds look. Because we can render out at retina display – like 2560×1440 – I think that just the resolution and the detail level kind of takes the games up from what they were. At lot of it, and maybe this is me personally, but some of my rose-tinted glasses, like “Oh my god, I love Wasteland – Wasteland was like the best thing ever”, and then I go back to it and I’m like, “Oh my god… there are nine pixels on the screen” – you know. Of course I’m exaggerating – but there is a line at which graphics have to a point where the majority of us will still enjoy playing it. So that’s one aspect. The second aspect is just learning from the infinity engine games, which were aspects that were very important to Bioware – like control has to feel very crisp, and that’s one of the things we’ve been working on. So when you’re selecting, and you’re clicking, and you’re doing this and you’re doing that, it has to feel like the response to your clicking is absolute. That keeps it feeling very modern – you’re not waiting for the game to respond, and stuff like that. Other than that – it’s also kind of taking aspects of the game and moving them forward, that’s really based upon how we’ve improved things, or added on, or because we have new systems that we’ve done since those games. One system that we work on a lot, we call the “influence system”, which has to do with our companions. It was something that Chris Avellone really worked a lot on in Knights of the Old Republic 2, and we continued to evolve it in all the different games that we’ve done. We take the companions, and the companions are really cool in Torment, and Baldur’s Gate 2, and other games, but we’ve done so much more with them over the course of the last ten years, and we’re going to bring that in as well. It’s not counter to what those games were, it’s just expanding upon them. James: One of the things that I really liked with the companions in some of these early games was the banter between the different characters, but quite often when that would happen I’d be in the middle of doing something. Just wondering, where will you put that inter-character banter now? Feargus: I think what we’ve tried to do more recently is when you engage in a dialogue, it’s not spawned by… because a lot of times those, if I remember right, were spawned by area transitions, and just timers. Sometimes you could transition into an area, and at this point in the game, because of a quest that you’re on, it spawns a combat or something, but it was also the time for this banter to occur, and so it all happens at once. So i think a lot of what we tried to do, in more recent games, is that something that when you’ve initiated some form of action, you know, you’ve talked to someone or gone into a story, you’ve done something, which culls out a lot of other random stuff going on. and that makes it a little bit easier for a conversation with the companions to occur, and have you be able to watch it or experience it without kind of like craziness. James: Yeah, I remember one of my characters – it was the wingless elf from Baldur’s Gate 2 – confessing her love to me, in a dank dungeon. Feargus: No, there is that too, and it’s funny because you still want to have this element of, I don’t want to call it emergent gameplay because it sounds buzzy, it’s this idea that there are things that can just happen whenever, and I think the random encounter system that Bethesda put together for Fallout, I think worked really well. People didn’t really understand that there was this random system, but it really felt that, hey, there was things going on in the wasteland, and there’s these merchants, and things, and there’s life. I think that was because they really put together a very robust, random is maybe even the wrong way to put it, but this kind of life system for what’s going on in the wasteland. and that has a lot of like checks and balances and if that has happened so many times then don’t do it – and this thing’s like that. So, I think that’s more of what we want to do in Project Eternity, is to make sure that for the most part things will feel appropriate, and because you still want things to be – and I’m going to use the word even though I just made fun of it, emergent – unfortunately it does mean that some things will occur at inappropriate times. James: Yeah. But sometimes they can be some of the most memorable as well. James: So when I think to Fallout 1 and 2, did it especially well, I mean the random encounters that would pop up as I was moving around the map always seemed to respond to how I was playing the game quite well. So it didn’t feel too off the cuff when I sold my wife to slavers… and been a jerk… now bounty hunters were after me. Feargus: [Laugh] Right. Yeah, yeah. So even in Fallout 2 that was actually something we put in really late in the game. We put in some random encounters, at least i think it was 1, I can’t remember, or 2, or 3, but i know it was at least 1, in which we noticed as we were playing the game, toward the end of development we kind of created the problem of the big bad guy on the hill that you don’t know anything about. But then you go up there and he’s the guy you have to kill to win the game, but you don’t really have any investment in him, and so we realised, wow, we need to do something. So what we did, we kind of inserted a random encounter that needed to occur within I think the first couple hours of the game and so its chance of happening would just increase until it actually happened, and that was where, what was his name, Horrigan? I think it’s Horrigan, he comes on and kills basically a bunch of people and a family, and you can’t do anything about it. Feargus: Yeah, cause you’re still low level, and that in itself was kind of enough to introduce him as the douchebag that he was, and so that helped. So we tried to do things like that as well. Paul: …and it comes off in such a natural way instead of a forced way to have things. You’re not forced to go there, it comes to you. Paul: Yep. Going back to kickstarter again, obviously you overshot your kickstarter by quite a significant amount, and we’re all very happy about that. Paul: But you had to scope out your stretch goals, as it’s become the way of kickstarter now. How do you go about scoping stretch goals for that – how would you increase the scope of the project and know what you’d want to do? Then would that give you anxiety because of over committing to those stretch goals? Feargus: Oh I know, and you know, there probably is a little bit of anxiety over some of those stretch goals. We try to be careful about some of them: we stopped offering more companions – we topped out at 8 companions – some people want to see us do a lot more of them. Maybe we’ll do more, but we’re probably going to hold to 8. Because companions are kind of a complicated thing, and there’s only so many writers in the industry that have done very complex RPG companions. Luckily we have quite a number of them here at Obsidian, but we only have so many. We had to really control that number and say, “Chris can only write so many of these. Josh can only write so many of these. Eric Fenstermaker can only write so many of these.” – So that really limited the number, and that’s why we didn’t offer them up as stretch goals. A lot of the other stuff – you know, we try to be careful, you know, and if I had to say the ones that are definitely… it’s not like nail biting… it’s just that we have to treat very responsibly… are the Endless Pass dungeon, that got really big. Then as Josh called it the Big City 2, those are the two larger things that we have to now start planning for. One, because we promised them, and also that we have to make sure they are what everyone expects them to be. Those are the things that would take the most planning, and that’s why we made the big big city a $500,000 stretch goal. because they take a lot of time and energy, so that’s how we kind of tried to treat it. Feargus: Well if it’s your first city, and you’re putting all your investment into creating the systems for a city, then it’s a little harder. But being our second city, you know we’ve already – the stronghold has already been taken care of in another way, and now it’s really just putting a city together with factions and things like that. It’s definitely the one thing where I would say we were treating very respectfully. Just because we want it to be cool, and that needs a lot of work. James: So if this does very well for you guys, could you see yourself focusing on more of these kind of smaller projects? Feargus: – which was sort of this, Zombie West. I always thought it’d be super cool to make like a big, almost like a Skyrim, but in Deadlands. I think that would be cool. So there’s things we don’t want to back away from, but if we can continue to be funded, and these games are successful, they’re absolutely fun to make, and we enjoy it. And so we would still continue to make them. Not even as a maybe. I mean, that’s the goal. The goal is to make Project Eternity 2, and 3, and 4, and 12, or whatever it might be. Paul: On that new style of industry, in this case at least, are you going to look at any sort of publisher support of eventually having a retail release, or are you looking at self-publishing and leaving it at that at the moment? Feargus: No, we’re going to talk to publishers. It really kind of changes the conversation as it relates to, we have a funded game, we will have created a lot of materials. The name is already out there, we’ve already got PR. Particularly in Europe, and Australia, and places like that, seeing if we can’t get someone who would take it to retail. Cause box product is still – although it would be interesting to find out from you guys, in certain parts of the world, people still go out and buy boxes. There is a feeling by publishers in the United States that boxes are not something, particularly for PC product, that people are as interested in getting. I know I pretty much buy everything off of Steam but then I don’t know if that’s in reaction to I can’t go down to Gamestop and buy a PC game. So it’s an interesting thing. But ultimately we’re going to talk to publishers about seeing if they are interested in putting the game to retail. Paul: … but with that, do you think there can be a place for a publisher attached at the beginning of a project? So could they be involved with crowdfunding, as long as, you’d want some transparency with it – do you think that would be appropriate? Feargus: How I’d look at it – and I think another way to look at it – there is a publisher that’s involved from the beginning – there’s a kickstarter – I think it’s still going on, Ars Magica? Feargus: And, Atlus, who is a publisher – a Japanese publisher but they have a US arm – and strangely enough their office is about a mile from our office. They’re pretty upfront, that group working with Atlus was very upfront about how they were kind of providing the license, and things like that, and that seems to be something that doesn’t bother anybody. But I think ultimately, how I look at it, is that what’s great about crowdfunding, is that things get funded. Someone could say publishers already have money so why do they have to go there… well, ultimately, if a cool game gets funded that we all get to play, I don’t know that it matters who’s behind it. And it’s not even just games, it’s anything. If someone goes up there and I think someone’s trying to fund a plasma engine – as long as cool ideas are getting funded so that they can get made and come to fruition, I think that’s awesome about crowdfunding. So whether it’s a publisher, or it’s Satan, or it’s the archangel Gabriel, or Bernie Mac coming back from the dead. As long as cool ideas get funded I think that’s what it’s all about. Feargus: It’s very interesting, yeah. I get talked to all the time, and it feels like in a month we’ll just be old guys now, we won’t even know what’s going on with crowdfunding anymore. Paul: Exciting times in the industry. Well, post your launch what kind of plans, if any, do you have for supporting afterwards – do you have any plans for DLC, or expansions, or anything on the original game? Or is that so far away you’re not even thinking of it? Feargus: No we’d like to do expansions. As a part of our Kickstarter we actually announced we were doing an expansion and people could get the expansion early if they wanted to. But what’s most important is we’re doing expansions, we’re not doing DLC. DLC seems to leave a bad taste in people’s mouths, and when we talk about adding on to the game afterward, it really is expansions, like you would have seen with the infinity engine games, you know Tales of the Sword Coast, with Baldur’s Gate, or Throne of Bhaal. Although doing something the same scope of Throne of Bhaal is pretty crazy for an expansion nowadays. But no, definitely it’s to do expansions that are a good amount of content, they add a lot of features, and they extend the game. Partly because we want to do that as a way to move into doing the sequels, as well. Because we’d absolutely like to do that. We don’t know if we can crowdfund the sequels or not, I mean a part of it will be if people will have us, at that point, but it’s kind of things are open right now, to see what really happens. James: With these kinds of games where you’ve pulled in a lot of the fans early on, do you think you run the risk of tapping the majority of your market from the Kickstarter so that post-release sales might not be what you want? Feargus: You know it’s very possible, and I think that that’s where you have to be careful about – you know, the funding we have is the funding we’re going to use to make the game, and we have to be very careful about using some, or any more of, our own money to put into it. It’s so hard to – no one knows. I want to believe that there’s another hundred, two hundred, three hundred thousand people who will buy Project Eternity, just from the standpoint of Baldur’s Gate 2 sold two, three four million units. I know it’s at least two, and it wouldn’t surprise me if it was four. At least 10 or 12 years ago, there were a lot of people who really enjoyed these games, and so my hope is that there’s still about 20 or 30% of them around who still want them as long as we do a good job and the game reviews well and people talk about it really positively. Then I think we’ll hit more. I don’t know if that’s double our kickstarter number, or triple, or what, but I’m fairly confident there’s a good number of people out there. James: I’m hoping so, I’d like to see a resurgence of these kinds of games. Paul: I also just like the idea of you keeping it within the funding that you have without the expectation so the game’s sort of self-contained, and then anything that comes from it, that can get reinvested into more expansions, other projects, it’s really exciting. Feargus: Yeah that’s what’s great. And we’re also really serious about – what’s really cool about the whole thing is that we have this brand that’s ours now, and we get to do things with it. With all of our things, we’re always wanted to – we’re kind of big board game, card game, RPG dorks here, and a lot of it is, wow, we have this thing that we can do with, we could talk to authors, we could do novelisations, maybe we could do a card game, or a board game. Maybe we should talk to the Pathfinder guys about doing a sourcebook for it. And that’s what’s really exciting, is just having these possibilities to do other stuff with the world. Paul: The Stick of Truth! When are we getting it? It looks awesome! Feargus: You know, it is actually more horribly awesome than anybody’s ever seen so far. If there is the one game that is going to either have us drawn and quartered, go to hell, I don’t even know what it is – the talk internally is that, wow, we got a lot of positive press for the Kickstarter, what kind of press are we going to have on the South Park! It’s pretty wild. I mean, Matt and Trey have been doing some super funny stuff particularly over the last few months, and it’s really coming together. As for a release date, to be honest, I’m not sure what THQ is looking at for a release date right now. I know they just announced their financial stuff about the game moving out a little bit, but to be honest, I don’t know if they released an actual date so we’ll kind of have to see where they’re putting it. And that’ll be coming pretty soon. Paul: That’s alright, we can wait for it – we can wait for it. Feargus: Yeah, that was the fun thing, when we first ever got together with Matt and Trey, what was so fun was just how into games they are, and how much Trey at the time had just put in 80, 100 hours into, it must have been Fallout 3. And so we could really have a conversation about games, but really what it all came down to in the end was just that it all didn’t matter if it didn’t look like South Park. They didn’t want, and we didn’t think it made sense, if we went out and made 3D South Park – because the characters just don’t look right. So that’s what we did, the first thing we went away and we thought, how are we going to do this, and we got some assets from them and put it on an Xbox, brought it back a few weeks later and they just looked at it and go, that looks exactly like the show! And we’re like, “Yeah!”. Feargus: And it was pretty much at that point it was like okay, let’s do this. Paul: I love it, I love it. That is quite high on my anticipation list at the moment – along with Project Eternity! Well thank you for your time today Feargus, I think we’re pretty much over. No one wants to throw in anything else while we’ve got him? We’ve got resources here! Exploit them them while we’ve got them! Feargus: You know the thing I think is, I’m going to speak for Chris Avellone, and hopefully I will speak the correct way, you know I think if Chris were to write Torment again today, the dialogue will still be very extensive. It might have been a little edited down a bit just because he’s evolved as a writer now, you know, in the last 13 years, and we realise that people’s attention spans now compared to 13 years ago may be a little different. But no one should take away from that that the meaning is to not have dialogue that is well written and really portrays the characters well, and I think a lot of it in the end is giving the players the ability to really get into a dialogue deeply, but also that it’s pretty obvious if they want to back out again and move on. Because there are different kinds of players that will both really enjoy Project Eternity and some will want that Torment level of depth as it relates to the characters, in dialogue, while others are like, “I really want to know these characters and I want to get some information from them and know who they are, but I don’t want to read for 15 minutes.”, and that’s really the balance that we’re going to work for. James: Yeah that’s good stuff. I mean, I’m happy to read for 15 minutes. Paul: We would have been fine with either answer really. You sort of gave us both anyway, so it’s good! Feargus: [Laugh] I did give you both! But that’s a lot of what we do as game makers now is we sometimes – we have to look at – of the people that we know – well – what it’s not about is saying, okay well, we want to have housewives who play Farmville and Call of Duty Online 13 year old guys that swear using words they don’t even know what they mean – we want to make a game that brings them together. It’s not that. It’s more, okay so we have people who know will love our game. But even they have slightly different playing the way that they play games. It’s just acknowledging that. A part of that really is what it comes down is how we approach dialogue. Giving that ability to really go deep or not. Paul: Excellent. Well I’ll be choosing to go deep more often than not. I want to see what you guys have got! Paul: Well, final call boys? Paul: Thank you so much for joining us this afternoon Feargus. Feargus: You’re very welcome. Thanks for the opportunity. Paul: Well, I suppose that’s the end of it! You can listen to the interview in our weekly podcast available here.